Mom365 is a professional newborn photography company and life stage marketer operating within the $2.1 trillion dollar U.S. new mom and baby market. 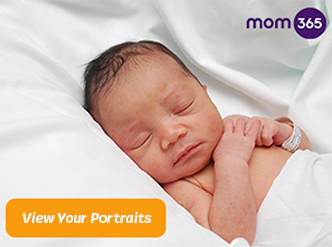 Mom365’s prenatal to preschool business includes a roster of cross-platform and integrated marketing programs led by our in-hospital newborn photography service and bedside sampling programs. Our initial interaction with new moms has resulted in an unparalleled database of consumer information. From the first contact, Mom365’s relationship with mom grows as baby grows, via direct mail, email, and through a strong and growing online community. Mom365 reaches moms with children aged 0-8 years with age-based marketing programs, offering ideas, inspiration and information for parents to learn, share and save. Mom365 provides moms with lasting and heartfelt experiences—and marketers with dynamic, awareness-building and response-generating programs that create lifetime customers. To reach them, reach us.